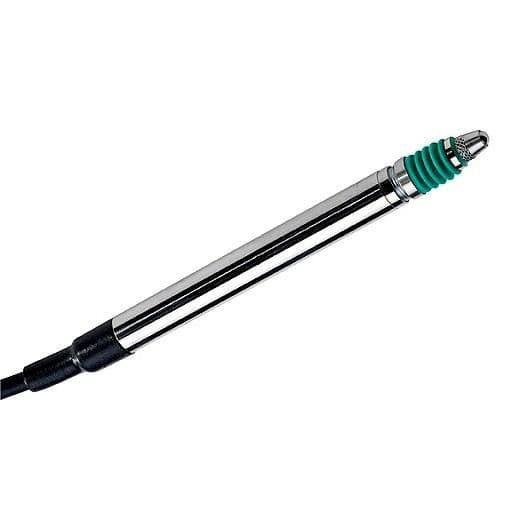 Meggitt (Sensorex) SX8MM is an inductive sensor armed with high precision mechanics to measure at very high frequency of 60 Hz with nearly 20 million cycles. It has gauge heads with 2 meter radial or polyurethan axial cable along with a DIN connector. It has a measuring insert tipped with a 3mm rolling bearing at one end. A protective rubber prevent water and dust from damaging the measuring spindle guide. This sensor is used with conditioning unit model SX3120, SX9130 and it is AC/AC LVDT. This sensor has great repeatability and accuracy.